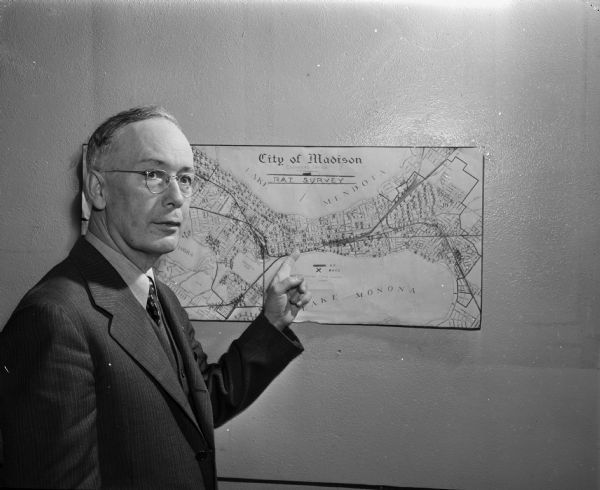 James L. Clark, Madison city health inspector, shown pointing to a map of Madison marked with X's signifying places with rat infestation. One of two images. Published in the Wisconsin State Journal on September 21, 1947.